HOME PRODUCTS &AMP; SERVICES DIRECTORY OF SUPPLIERS TDK-LAMBDA AMERICAS INC.
TDK-Lambda Americas Inc. is a world class leader in the design, manufacture, and marketing of power supplies to the Industrial, COTS, Telecom, Datacom, Medical and Test and Measurement sectors. 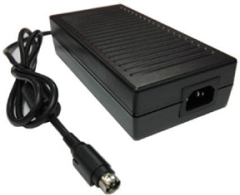 Founded in 1948 TDK-Lambda Americas has developed a worldwide reputation and heritage for high quality, robust power supplies. TDK-Lambda Americas Inc. is a unit of TDK Corporation a leading global electronics company. Today the TDK-Lambda group of power supply companies has an international presence with manufacturing, support, and design facilities in China, England, Israel, Japan, Malaysia, Singapore, and the United States. TDK-Lambda Americas invests heavily in R&D and manufacturing. This enables a continued roll out of new and leading edge products built in factories meeting high environmental standards. 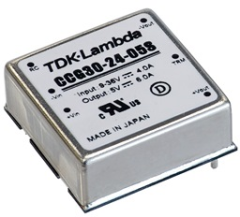 To supply a diverse customer base in diverse markets, TDK-Lambda Americas offers a broad range of power supplies, including standard, modified-standard and custom. 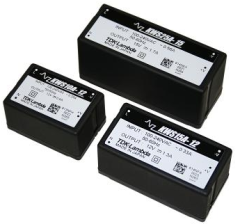 High reliability products are available from 1W to 22,500W, AC-DC and DC-DC. View More Product Announcements from TDK-Lambda Americas Inc.